5 new routes from Budapest: Podgorica, Prishtina, Sarajevo, Skopje & Tirana! After yesterday’s good news for passengers near Bratislava and Cluj-Napoca airports, we have even more good news! Wizz Air just announced 5 new routes from Budapest in Hungary! The new routes are: Podgorica, Prishtina, Sarajevo, Skopje & Tirana. Flights to/from Budapest will start operating from April 2017 and you can already book tickets on WizzAir’s official website. The prices start at 5990 HUF which is only €19 for one-way ticket! 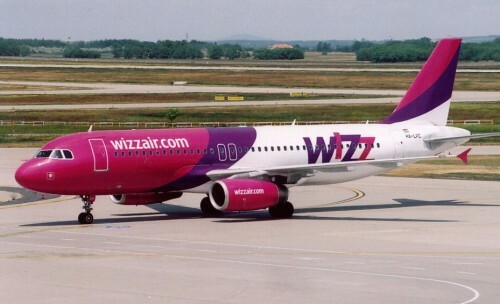 This expansion of Wizzair’s network to republics of former Yugoslavia is very welcomed news, because it was very difficult and expensive to travel to these cities until now. Let’s hope for even more cheap flights across Europe from its main low cost airlines! « New routes from Bratislava: Cluj-Napoca, Kiev, Eilat, Warsaw!